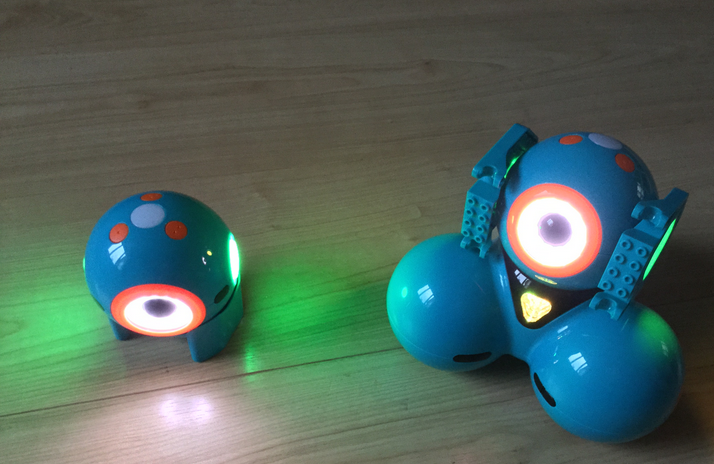 Wonder Workshop (https://www.makewonder.com/) recently released their long anticipated robots Dash and Dot robots (see picture above). It is hard not to be charmed by these robots, they are cute, easy to use, download the Apps and you are ready to go almost out of the box - and add to this an easy to use but fairly powerful tool for developing programming. At the time of writing the software is only available for IOS but there are plans for Android. 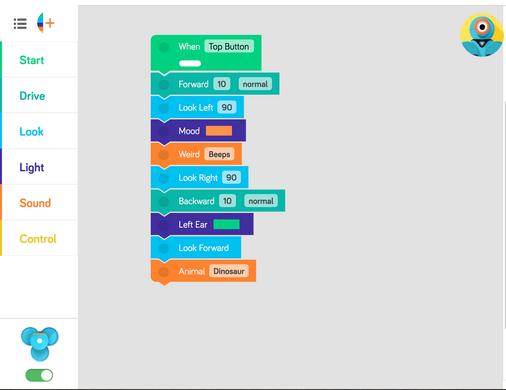 Blockly, available as one of apps, can be used to program the robots. It is a simple looking graphical language (simpler looking but similar to Scratch). A simple example (shown opposite) where Dash (the bigger of the two) does things such as moves forward, going left, lights change to orange, , left ear changes colour, head moves forward and it roars like a dinosaur. It relatively easy to then add loops and test (such as checking if it's 'friend' Dot is in view). Below is a very short video of Dash moving around until it 'sees' Dot. It is difficult not to anthropomorphise these, especially when they are left alone they try and attract your attention with noises. I would be very surprised if these don't start popping up in a lot of primary schools soon. Personally, their ease of use, 'cuteness', combined with a suitably powerful programming language means I think they have great potential for the development of computational thinks and problem-solving skills. The are just fun as well.